E-Safety experts specialising in supplying Ofsted required products and services. eSafety4schools provides Web Filtering and PREVENT monitoring to Primary, Secondary and Multi-Academy Trusts across the UK. Initially supplying a very basic Web Filtering product back in 2014 eSafty4schools have expanded the product line up and have grown the company to 500+ subscription based school customers today. eSafety4schools have produced a simple yet effective bundle to cover the majority of services that schools require on an ongoing basis. All of the below services include provision, set-up, support and license. *From 801 users, £3 per user. For a full explanation of all services and what is included, please download the eSafety4schools Service Description Bundle to find out more. If there are any additional services that are not part of this bundle that you would like to add to your service, please call esafety4schools 0333 344 6501 or email info@esafety4schools.com. eSafety4schools delivers a comprehensive Web Filtering product directly to schools either over their existing Internet connection or via an LA network such as emPSN. The installation process takes 30 minutes for primary schools and 3 polices staff/pupils/SMT will be immediately set up and working. For Secondary schools AD integration is provided as standard thus allowing Web Filtering rules to be set up against each AD group. The school itself and/or its 3rd party support company (or LA) will be given administration access to an easy to use management interface. From the interface the existing Web Filtering rules can be amended to suit the school and its Internet Usage Policy, you are in control – eSafety4schools will recommend which categories be allowed and which be denied but ultimately it is the Headteacher or Safeguarding officer’s decision. Once set up the school can utilise the extensive pre-configured canned reports of ‘Top Allow site/Top Denied sites’ etc, or build and schedule their own bespoke reports using the management interface, which can also be used to create unique deny pages with the school logo/colours & AUP. eSafety4schools will assist you every step of the way from deciding which categories to add to the Web Filtering Rules for Pupils and staff to which weekly reports to run, feel free to call us for advise or assistance at any time. Iboss is the leading supplier of Web Filtering in the USA, and was recently the only Secure Web Gateway product to be rated as ‘Visionary’ by Gartner researchers. eSafety4schools is the only iboss education MSP, and our trained team will work with the school from POC to full deployment and will always be at the end of the phone to support you. As the Secure Web Gateway through which all TCP/IP traffic flows means iboss has so much more to offer than just traditional Web Filtering – which it does extremely well and thoroughly. From real-time intrusion, malware and virus protection to a single pane of glass view of the threats and users attempts to circumvent security by using evasive protocol, iboss puts the school totally in control of its network. Easy to set rules and unparalleled security features & functionality gives schools enterprise level protection for education budgets. 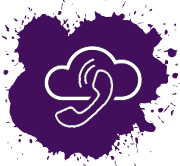 Voice Over IP on a cloud-based school phone system. Qunifi OneVoice™ is an enterprise grade cloud-based phone system which works with Office 365 and Skype for Business giving staff a complete mobile office wherever they are. Save Money – make huge instant savings on current telephony costs. Take work calls on any device – make or receive work calls on a desk phone, mobile phone or PC / Mac. No longer tied to a desk – staff can take a work call wherever they are. Free calls – 1000 landline and 400 mobile minutes per month included free for every user. True enterprise PBX features – complete enterprise functionality included for one single price. Enterprise grade features with the flexibility of the cloud. Includes single line VoIP Phone and up to 5 software devices per user, with follow-me functionality, each user includes 1,000 national minutes and 400 mobile minutes. All users minutes are added to a pool which can be used by all users. (For example for 10 users total number of minutes for use by the school would be 10,000 national minutes and 4,000 mobile minutes). As standard user but with Skype for complete integration. The eSafety4schools provisioning team will manage all aspects of your VoIP connection being enabled, from initial site survey if required to engineer visit and after deployment line testing. Shared web filtering polices, and alerts – enabling quick and efficient updates that the school does not need to worry about. Do you need to access your school’s server or desktop from home or other locations? Do you need access to critical applications or require remote support? Remote Access from eSafety4schools solution can help, it allows you to access the resources you require in your school from almost anywhere. Our remote access solution integrates directly into your desktop or laptop, no software or hardware required. esafety4schools doesn’t limit you in the way that many cloud backup providers do – we believe that your cloud space is yours and should be used however you like. Purchasing cloud space with esafety4schools means that you can use it however you like – your cloud space doesn’t have to be used with a server, it can still be used for almost any device—and as many as you like. Mobility – esafety4schools allows you to view, share, and access your backups from anywhere, with any device with a web browser. Security – you can also choose to use our Ultrasafe option which ensures your data is never recoverable anywhere or by anyone but you. Multi-destination backup – backup your local data to any destination, anywhere. Including external hard drives. Backup and recover laptops, workstations, fileservers, and files & folders. Send transactionally consistent backups to the cloud and keep as many historical versions of files that you require. Our internet access for BYOD and Public Access is transparently filtered and independent from your school network, making it safe and secure for everyone. We bring a virtual network (VLAN) into your school within the emPSN connection. No new hardware is required. We allocate the IP subnet, provide DHCP, and DNS. 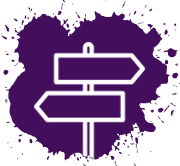 The BYOD filtering policy is managed alongside your normal filtering policies via our portal. Simply configure your access point to use our BYOD VLAN and you are ready to go. Optionally use our captive portal to assign BYOD user access, passwords and expiry. O365 support and migration so school owns its e-mail! If you are looking to move your services from your current application service provider to e-Safety4schools, please download the Moving Services to eSafety4schools within emPSN guide. To ensure you receive a copy of our latest newsletter directly to your email box sign up now. We often get asked similar questions by many of our schools and customers so we have put together some useful FAQ’s as a bit of a myth busting exercise. emPSN is a not-for-profit, public good company, owned by all of our members and here to help.